As today’s recovering economy continues to improve, businesses are growing and so is the demand for skilled business professionals. When you are poised to respond confidently and expertly in the dynamic, ever-changing world of business, you can make an impact in the global marketplace. A bachelor’s degree in Business Administration prepares you for entry-level business positions or advancement within your company by equipping you with a broad understanding of key business principles and theories, and their application in the real world. The U.S. Bureau of Labor Statistics reports in the Occupational Outlook Handbook that employment in business and financial occupations, such as Financial Analysts and Management Analysts, is projected to grow by 17-19% through 2020. The median annual pay for these positions exceeds $75,000. Other positions, such as Accountants and Market Research Analysts, are also on the rise. Obtaining a degree in Business Administration helps you develop a wide range of marketable business skills in areas such as finance, marketing, operations, team leadership, human resource management, communication, operations, ethics, policymaking, and decisionmaking. Additionally, you can often specialize your degree to meet your specific career goals. Many well-known universities are offering these degrees online to meet the needs of students who are looking for a high quality program that is flexible. In order to determine the 2015 Smart Choice Best Online Bachelor’s in Business Administration Degree list, we started with a baseline of regionally accredited programs. These programs were evaluated and ranked based on recognition & awards, accreditation, flexibility & accessibility, and affordability. Schools that are accredited by the prestigious Association to Advance Collegiate Schools of Business (AACSB) were weighed slightly over schools that are regionally accredited. This ranking will undoubtedly provide a strong foundation as you seek to find the online Bachelor’s in Business Administration that fits your needs! Portland State University is a public research university located in the heart of downtown Portland, Oregon, and is ranked by U.S. News & World Report as one of the nation’s “Top 10 Up-and-Coming” universities. Over 22,000 undergraduate students are enrolled at PSU, with one faculty member to every 19 students. The Northwest Commission on Colleges and Universities provides regional accreditation. The School of Business Administration is accredited by the AACSB. Program Details: The School of Business Administration offers a three-year, cohort-based online degree program through which undergraduate students can earn a Bachelor of Business Administration with a concentration in either Management and Leadership or Supply and Logistics Management. This 72-credit program includes bi-weekly, real-time, online video chats with fellow students and instructors. An optional orientation on campus is offered at the start of the program. Applicants must have completed at least 90 quarter credits, including all pre-business courses, with a GPA of at least 3.0, prior to enrollment. Nonresident tuition costs $4,032 per term for eight credits. Stephen F. Austin State University is located in eastern Texas, in the town of Nacogdoches, also known as the Garden Capital of Texas. This four-year public university began in 1923 as a teacher’s college and first offered Bachelor of Business Administration degrees in 1940. The student population includes over 11,000 undergraduates with a 20 to 1 student-to-faculty ratio. Regional accreditation is provided by the Commission on Colleges of the Southern Association of Colleges and Schools. The Nelson Rusche College of Business is AACSB-accredited. Program Details: The Nelson Rusche College of Business offers an online degree completion program for a Bachelor of Business Administration in General Business through SFA Online. This program is ideal for students who have completed coursework elsewhere and can transfer credits to finish their final two years at Stephen F. Austin State University. The curriculum offers broad-based understanding of business disciplines. The degree is comprised of 120 credits, including 18 hours of Lower Level Required Courses, 24 hours of Upper Level Required Courses, 24 hours of General Business Major courses, 12 Advanced Hours within the College of Business, and 13 General Elective hours. Tuition varies based on the number of credits taken per semester. Founded in 1889, Western Carolina University is a member of the University of North Carolina public system. The 600-acre campus sits 52 miles west of Asheville, in the town of Cullowhee, near the Great Smoky and Blue Ridge mountains. Over 8,700 undergraduates attend WCU and enjoy a student-to-faculty ratio of 16 to 1. The Commission on Colleges of the Southern Association of Colleges and Schools provides regional accreditation. The AACSB has provided accreditation for the College of Business. Program Details: The College of Business, in partnership with the Division of Educational Outreach, offers a degree completion program for a Bachelor of Science in Business Administration with a major in Business Administration and Law. Major coursework emphasizes the interrelationship between business and law, with courses such as The Legal and Ethical Environment of Business, Contracts and Sales, Legal and Professional Skills, and more. Applicants must have an Associate Degree or completion of liberal studies requirements. Students must complete 120 semester hours, which includes liberal studies, business core, major courses, and electives. With a history dating back to 1766, Rutgers University has earned a reputation as a leading national research university. Rutgers is the State University of New Jersey, with a flagship campus in New Brunswick, campuses in Camden and Newark, and a presence in all 21 counties. There are nearly 47,000 undergraduate students in the Rutgers University system. The New Brunswick campus holds a student-to-faculty ratio of 16:1, while the two smaller campuses enjoy a ratio of 11:1. The Middle States Commission on Higher Education provides regional accreditation. Rutgers Business School is accredited by the AACSB. Program Details: The “Center for Online Learning and Hybrid Learning and Instructional Technologies” partners with the School of Business at Rutgers University-Camden to offer an online degree program culminating in a Bachelor of Arts in Business Administration. Applicants who have earned their associate degree with business foundation courses and a GPA of 2.5 or above will enter the program ready to gain real-world knowledge and a broad education of foundational business concepts and practices. Required courses include Applied Business Statistics, Principles of Marketing, Principles of Finance, and more. Classes begin in the fall and spring, and students can progress at a part- or full-time pace. Columbia College is a private, nonprofit college located in Columbia, Missouri. Established in 1851 as Christian Female College, the institution remained dedicated to female students until 1970, when it became a four-year coeducational college and updated its name. Today, over 15,000 undergraduate students attend here. The college posts a student-to-faculty ratio of 24 to 1. Regional accreditation comes from the Higher Learning Commission of the North Central Association of Colleges and Schools. Program Details: Through the Online Campus (first launched in 2000), the Business Administration Department offers online degree programs for both a Bachelor of Arts and a Bachelor of Science in Business Administration. Ten majors are available: Accounting, Entrepreneurship, Finance, Healthcare Management, Human Resource Management, International Business, Management, Marketing, Public Relations and Advertising, and Sports Management. Classes run in 8-week sessions. Students must complete 120 semester hours to earn their degree, with 39 hours of Upper Level coursework. Tuition costs $275 per credit hour. Founded in 1963, University of Missouri–St. Louis is a four-year public research university located on a 470-acre campus. UMSL contributes to the vitality of the St. Louis metropolitan region and joins in the friendly, know-your-neighbor atmosphere. Nearly 14,000 undergraduate students attend here. The student-to-faculty ratio is 17 to 1. Regional accreditation has been earned through the Higher Learning Commission of the North Central Association of Colleges and Schools. The College of Business Administration has received AACSB accreditation. Program Details: The College of Business Administration is ranked in the top 3% of business schools in the United States by Princeton Review. Beginning in Fall 2015, the college offers a new online degree completion program called UMSL Business Online. This program is designed for students who have already completed approximately half of their necessary undergraduate coursework. Students can earn a Bachelor of Science in Business Administration with concentrations in Business and Accounting, and can progress at a full- or part-time pace. Applicants must have at least 24 transferable credit hours with a minimum 2.3 GPA. The degree requires 30 hours of Business Core Coursework, 18 hours of Junior/Senior Level Business Electives, and completion of General Education requirements. Franklin University is the second largest private university in Ohio. The institution was founded in 1902 to serve adults students who wanted to continue their education while still fulfilling life’s other responsibilities. Located in Columbus, Ohio, Franklin University serves over 4,500 undergraduate students. The ratio of students to faculty members holds low at 11 to 1. Regional accreditation is provided by The Higher Learning Commission of the North Central Association of Colleges and Schools. Program Details: The Ross College of Business aims to develop business professionals who drive sustainable growth in a complex, global economy. The Bachelor of Science in Business Administration is the college’s most popular major and offers the broadest view of business operations. Students gain practical experience through hands-on curriculum projects. Courses cover Business Strategy, Management and Operations, Marketing, Accounting, Finance and Economics, and Business Ethics and Corporate Responsibility. Over 20 relevant minors are also available. The program requires 124 semester hours to complete. California State University, East Bay is located in sunny Hayward, California in the East Bay subregion of the San Francisco Bay Area. The university enjoys two scenic campuses and a professional center in downtown Oakland. A four-year public university, Cal State East Bay has over 12,000 undergraduates and a 27 to 1 student-to-faculty ratio. The Senior College and University Commission of the Western Association of Schools and Colleges provides regional accreditation. The College of Business and Economics has earned accreditation from the AACSB. Program Details: The College of Business and Economics offers an online degree completion program for a Bachelor of Science in Business Administration with options in Finance, General Management, Information Technology Management, and Operations and Supply Chain Management. This flexible program is designed for active professionals who want to gain skills and knowledge to succeed in the global marketplace. The program operates on the quarter system which allows students to progress at their own pace. Most students take two years to complete their degree, with 180-183 units needed to graduate. Tuition costs $295 per unit. Founded in 1890 under the Morrill Act, Oklahoma State University is a public research university located in the county seat, Stillwater, Oklahoma. Its first commencement took place in 1896 with six graduates. Now, OSU enrolls nearly 21,000 undergraduate students and has a 20 to 1 ratio of students to faculty. The Higher Learning Commission of the North Central Association of Colleges and Schools provides regional accreditation. The Spears School of Business is accredited by AACSB International. Program Details: Spears School of Business, in partnership with OSU’s OCampus, offers an online degree completion program for a Bachelor of Science in Business Administration with options in General Business or Management. Applicants should possess an Associate of Science or an Associate of Arts degree to fulfill OSU’s general education requirements. A minimum of 30 hours of coursework must be completed through OSU to receive a degree. The program is available entirely online and instructors are the same faculty who teach in campus classrooms. Tuition costs $598.70 for nonresidents. The University of Maryland University College is the online campus of the University System of Maryland, the 12th largest university system in the United States. This nonprofit online public state school has offices located in Adelphi, Maryland. Over 35,000 undergraduate students attend UMUC and the student-to-faculty ratio is 22 to 1. Regional accreditation is provided by the Middle States Commission on Higher Education. Program Details: University of Maryland University College offers a Bachelor’s in Business Administration online degree program that is career-focused to help students compete for modern business jobs. Students learn accounting, business law, ethics, finance, marketing, strategy, and more. Curriculum is designed by employers, industry experts, and scholars to provide the best of theory and real-world application. Twelve minors are available to add specialization to the degree. The degree is earned through the completion of 120 credits. Tuition costs $499 per credit for nonresidents of Maryland. Robert Morris University, founded in 1921, is named after the United States’ founding father who was known as the financier of the American Revolution. Located in the large suburb of Moon Township, Pennsylvania, RMU has an undergraduate student population of over 4,500 and a student-to-faculty ratio of 15 to 1. The Middle States Commission on Higher Education provides regional accreditation. The School of Business is accredited by the AACSB. Program Details: The School of Business works with the RMU Online Division to offer an online degree program for a Bachelor of Science in Business Administration. Students can concentrate in Business, Hospitality and Tourism Management, or Human Resource Management. The degree program is comprised of 42 credits of RMU Core courses, 30 credits of Business Foundation courses, 21 credits in the Major Concentration, 12 credits of Business Electives, and 15 credits of Non-Business Electives. Also required for graduation, students must complete a Communications Skills course and “Communication Skills Intensives” that are integrated into the Major Concentration coursework. The University of Massachusetts Amherst is a major public research university and the Commonwealth’s flagship campus. The 1,450-acre campus is nestled in scenic Pioneer Valley, 90 miles from Boston. UMass Amherst has over 22,000 undergraduate students with a student-to-faculty ratio of 17 to 1. The Commission on Institutions of Higher Education of the New England Association of Schools and Colleges provides regional accreditation. The Isenberg School of Management has earned AACSB accreditation. Program Details: UMass Amherst University Without Walls (UWW), offers a fully online degree program that is designed as a personalized program of study to advance students’ career goals in business professions. Flexible options help students balance their education with work and family life. To earn a Bachelor of Business Administration, students must acquire 120 credits. Students can develop a personalized educational plan, with possible concentrations in areas such as Accounting, Finance, Management, Marketing, or Operations and Information Management. Applicants must have a minimum of one year of undergraduate study or 27 transferable college level semester credits. Tuition costs $385 per credit. The University of the Incarnate Word traces its roots to three young French women who came to San Antonio, Texas, in 1869 to minister to the sick and poor during a cholera epidemic. Over the years, the Sisters of Charity of the Incarnate Word established orphan homes and schools for children, laying the groundwork for what would eventually become UIW. A spirit of Christian service continues today at this private, nonprofit academic institution. Nearly 6,500 undergraduate students call UIW home and enjoy a low student-to-faculty ratio of 14 to 1. The Commission on Colleges of the Southern Association of Colleges and Schools provides regional accreditation. Business programs are accredited by the prestigious AACSB. Program Details: Through UIW Online, students have access to an online degree program for a Bachelor of Science in Business Administration with concentrations in Accounting, General Business, Information Systems, General Marketing, Social Marketing, eBusiness Management, and Project Management. The fully online curriculum is designed for adult learners seeking degrees relevant to their careers. Students must complete a total of 120 hours to earn their degree. Core University Curriculum (46 hours) contains liberal arts content true to the five tenets of the university’s mission: faith, innovation, truth, education, and service. Core Business Curriculum (39 hours) develops proficiency and confidence in all functional areas of business. Specialization Coursework requires 18-24 hours. Tuition costs $505 per hour. California State University, Fullerton rests on a beautiful, 236-acre campus just 25 miles from downtown Los Angeles. A major regional public university, Cal State Fullerton has an undergraduate population of nearly 33,000. The university is one of 23 campuses in the California State University system. There are 25 students to every faculty member. Regional accreditation is granted by the Senior College and University Commission of the Western Association of Schools and Colleges. The Mihaylo College of Business and Economics is AACSB-accredited. Program Details: The Mihaylo College of Business and Economics offers an online degree completion program designed for business professionals who plan to become managers. Students can earn a Bachelor of Arts in Business Administration with a concentration in Professional Business through this cohort-based program that takes three years to complete. Students must have 120 semester units to graduate, which includes 54 Upper Division units from the program. Applicants must already have 66 semester units of transferable credit with a GPA of 2.0 or above. Tuition costs $500 per unit. The University of Iowa is a public research university with a 1,700-acre campus along the banks of the Iowa River in Iowa City, Iowa. The university was founded in 1847 and faculty began teaching 124 students in 1855. Now, University of Iowa has over 22,000 undergraduate students, and maintains a student-to-faculty ratio of 16 to 1. The Higher Learning Commission of the North Central Association of Colleges and Schools provides regional accreditation. The Tippie College of Business has been AACSB-accredited since 1923. Program Details: The Tippie College of Business offers online degree programs in partnership with the Division of Continuing Education. The Bachelor of Business Administration in Management with a concentration in Entrepreneurial Management degree program gives students innovative management tools, problem-solving expertise, and business planning skills. Students must earn 120 semester hours. Applicants must have 15 semester hours of prerequisites in Mathematics, Statistics, Economics, and Accounting, as well as 9 semester hours of Business Core classes. The Management major with a concentration in Entrepreneurial Management requires the completion of 21 semester hours of coursework. Classes begin in the fall and spring. The University of Maine at Augusta is the third largest public university in Maine. Established in 1965, UMA positions its main campus in Augusta, a secondary campus in Bangor, and eight University College centers around the state. The main campus has over 4,600 undergraduate students and a 17 to 1 student-to-faculty ratio. The Commission on Institutions of Higher Education of the New England Association of Schools and Colleges provides regional accreditation. Program Details: The College of Professional Studies offers an online degree program for a Bachelor of Science in Business Administration with additional majors in Management or Accounting. The program applies broad knowledge of modern business and management theories with a focus on group dynamics. Students must complete 121 total semester hours of credit with a minimum GPA of 2.0. The Management major has additional concentrations in Public Administration, Computer Information Systems, Financial Services, or Small Business. The Accounting major has additional concentrations in Financial Accounting, Governmental Accounting, and Management Accounting. Seniors take a required Capstone Course: Seminar in Strategy and Policy Planning. Tuition costs $271 per credit hour. Established in 1885, the University of Arizona is located in the Sonoran Desert in the city of Tucson, Arizona. This four-year public research university enrolls nearly 33,000 undergraduate students and ensures that every student receives real-world experience. The UA is innovative, with plans to send a spacecraft to a near-Earth asteroid in 2020. There are 20 students to every faculty member. The Higher Learning Commission of the North Central Association of Colleges and Schools provides regional accreditation. The University of Arizona has AACSB-accredited business programs. Program Details: The online degree program for a Bachelor of Science in Business Administration with an emphasis in innovation and strategy is a new offering from the Eller College of Management. Curriculum includes broad analytical frameworks in all business specialties along with applied real-world projects. The program is described as a 2+2 format, in which students transfer at least 42 units and immediately begin upper-division curriculum, completing the program in as little as two years. Courses are offered in eight-week sessions. A success coach works with students to determine their schedule and pace. Applicants must have a 2.75 GPA or better. Tuition costs $550 per unit. City University of Seattle is based in Seattle, Washington, and caters to the working adult and transfer student. Founded in 1973, CityU has over 20 locations and many partnerships with premier companies and other institutions of higher learning. This private, nonprofit university is home to over 1,300 undergraduate students and maintains an admirable 11:1 student-to-faculty ratio. City University of Seattle is regionally accredited by the Northwest Commission on Colleges and Universities. Program Details: City University is ranked #27 for “Best Online Bachelor’s Programs” in 2015, according to U.S. News & World Report. The School of Management offers an online degree program for a Bachelor of Science in Business Administration that requires the completion of 180 credits. The program includes 10 emphasis areas from which to choose: Corporate Risk, General Management, Human Resource Management, Individualized Study, Information Systems Management, International Finance, International Management, Marketing, Project Management, and Supply Chain Management. Students complete 90 credits of Lower Division requirements, 90 credits of Upper Division requirements, and 25 credits of Emphasis requirements. Curriculum is designed to prepare students for jobs in all sectors of business. The degree may be completed in as little as three years. Founded in 1978, Regent University is a private, nonprofit Christian institution providing rigorous academics within a faith-based context. The university is located in Virginia Beach, a large city in southeast Virginia along the Atlantic coast. Regent University’s undergraduate population sits at over 2,300 undergraduates. The student-to-faculty ratio is 32 to 1. Regional accreditation is provided by the Commission on Colleges of the Southern Association of Colleges and Schools. Program Details: Regent University ranked 11th in U.S. News & World Report’s review of “Best Online Bachelor’s Programs.” The Department of Business, Leadership, and Management offers a rigorous online degree program for a Bachelor of Science in Business with emphases in Accounting, General Management, Human Resource Management, Economics, and Marketing. All courses are available online. The degree requires the completion of 120 credit hours, which includes 49 credits in General Education, 33 credits in Business Core Coursework, 12 credits in Business Core Coursework related to the Major, 6 credits in Business Electives, and 20 credits in Additional Electives. Tuition costs $530 per credit hour for students enrolled in 12 credit hours or less. Everglades University is a relatively young institution, originally founded in 1990 in Fort Lauderdale, Florida, as American Flyers College. It became a full-fledged university in 2003 and moved to its current home in Boca Raton, Florida, one year later. This private, nonprofit university enrolls over 1,300 undergraduate students and boasts an extremely low student-to-faculty ratio of 7 to 1. The Commission on Colleges of the Southern Association of Colleges and Schools provides regional accreditation. Program Details: A Bachelor of Science in Business Administration degree from Everglades University is designed to increase analytical skills and broaden business knowledge. Students gain fundamental business and management training, along with the opportunity to explore industry-specific topics. Online students benefit from the flexibility of coursework delivered on demand according to their schedule. Live interaction is available through scheduled group discussions and chats. This degree requires a total of 123 credit hours, including 30 credit hours of General Education courses, 33 credit hours of Lower Division Required Courses in business, and 60 credit hours of Upper Division Required Courses in business. The program culminates with a Business Capstone course. East Carolina University, located 85 miles east of Raleigh, North Carolina, in the city of Greenville, is a four-year public research institution. ECU is comprised of a 400-acre main campus in a residential area, along with a Health Sciences campus and a West Research campus. Founded in 1907 as a teacher training school, East Carolina University’s undergraduate student population now peaks at over 22,000. The student-to-faculty ratio is 18 to 1. The Commission on Colleges of the Southern Association of Colleges and Schools provides regional accreditation. The AACSB has accredited the College of Business since 1967. Program Details: The College of Business at East Carolina University offers Bachelor of Science in Business Administration degrees in General Business, Management, Management Information Systems, and Operations and Supply Chain Management. These are degree completion programs only, which means students typically complete the first two years of college courses at their local community college, then transfer in to complete their degree. All required courses for the degree are available online except Microeconomics and Macroeconomics. Some classes may require proctored exams. In 1884, a Reverend began tutoring a young man who worked all day and studied at night. Temple University, born from that humble beginning, has grown to become the 4th largest provider of professional education in the United States, with 17 schools and colleges on nine campuses. Headquartered in Philadelphia, Pennsylvania, Temple University is a public university that now enrolls over 28,000 undergraduate students and boasts a 14 to 1 student-to-faculty ratio. The Middle States Commission on Higher Education provides regional accreditation. The Fox School of Business has held AACSB accreditation since 1934. Program Details: Fox School of Business offers an online Bachelor of Business Administration degree program with majors in Accounting, Business Management, Legal Studies in Business, and Marketing. This particular degree program is ranked 31st (putting it in the top 11%) in the nation by U.S. News and World Report. The online format maintains all the benefits of on-campus programs, including the same faculty and career development resources, but is flexible and supportive for busy adult learners with both part-time and full-time options. Asynchronous video lectures and assignments are complemented by live interactions available in the evenings. Students with disabilities find a wealth of support from Temple’s Disability and Resources Services. Tuition costs a flat rate of $726 per credit hour. Kansas State University began in 1858 as a small college with 53 students. A land-grant, four-year public institution, K-State now hosts over 20,000 undergraduate students. The university is located in Manhattan, Kansas, also knows as The Little Apple. The student-to-faculty ratio sits at 19 to 1. The Higher Learning Commission of the North Central Association of Colleges and Schools provides regional accreditation. The College of Business Administration is AACSB-accredited. Program Details: The College of Business Administration works with Kansas State University’s Global Campus to offer an online program for a Bachelor of Science in General Business. Students are required to obtain a total of 126 credits for the degree. This includes 63 credits in General Requirements, 21 credits of Business Core Requirements, and 42 credits of General Business Administration Requirements, which includes core coursework in Organizational Behavior and Economics, and electives such as Business Law, Consumer Behavior, International Marketing, and more. To qualify for the program, applicants must have 45 credit hours of General Requirements coursework with a 2.5 minimum GPA. Classes begin in spring, summer and fall. 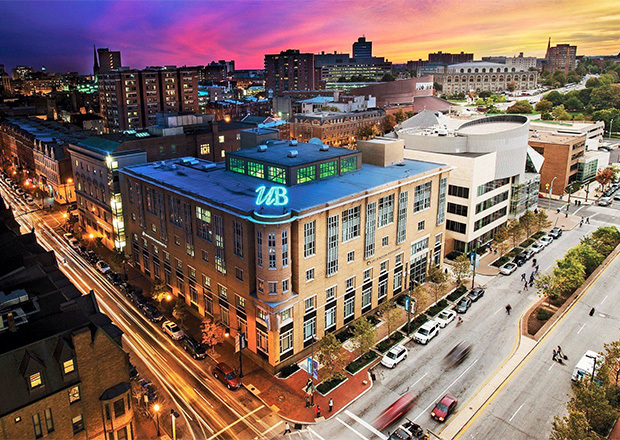 The University of Baltimore began in 1925 as a School of Law and College of Business Administration. Baltimore, a large city in the heart of Maryland, is about 40 miles northeast of Washington D.C. This four-year public university enrolls nearly 3,500 undergraduates and enjoys a student-to-faculty ratio of 15 to 1. The Middle States Commission on Higher Education provides regional accreditation. Merrick School of Business has received accreditation from the AACSB. Program Details: Through the University of Baltimore’s webBachelor’s program, the Merrick School of Business offers a degree completion program for a Bachelor of Science in Business Administration with a General Business specialization. This program offers the Upper Level business requirements only; working professionals who have completed their Lower Level coursework benefit from the flexibility of completing Upper Level coursework online. In this program, students learn core elements of business and expand their knowledge with customized electives. Oregon State University is located 90 miles south of Portland, in the town of Corvallis. Founded in 1868, OSU is Oregon’s leading public research university with an academic presence in every county in the state. Just under 24,000 undergraduates students are enrolled here, and the student-to-faculty ratio is 19 to 1. The Northwest Commission on Colleges and Universities provides regional accreditation. The AACSB provides accreditation for business programs. Program Details: In 2015, U.S. News & World Report ranked Oregon State University 5th in “Best Online Bachelor’s Programs.” The College of Business, working in conjunction with Oregon State Ecampus, offers an online degree program for a Bachelor of Arts or Bachelor of Science in Business Administration. This particular degree program is new and requires the completion of 180 credits. Students must complete Core and General University Requirements, Pre-Business Core Requirements, and College of Business courses. Minors are also available in 22 different fields. Most students take four to six years to complete the degree. Tuition costs $280 per credit. The University of Wisconsin-Platteville is the fastest growing school in the University of Wisconsin system. Founded in 1866 as the Platteville Normal School, UW-Platteville is also closely tied with the area’s economic roots in mining. Over 8,000 undergraduates call the 821-acre campus home. There is one faculty member to every 21 students. The university is regionally accredited by the Higher Learning Commission North Central Association of Colleges and Schools. Program Details: The School of Business offers a 100% online degree program for a Bachelor of Science in Business Administration. This program requires the completion of 120 credits, which includes 47+ credits in General Education, 50 credits in Business Administration Core coursework, and 15+ credits in Elective coursework in a Business Area of Emphasis. Minors are also available in Accounting or Criminal Justice. Online courses are taught by the same faculty who instruct students on campus. Business Administration courses include Leadership and Business Management, Global Business, Human Resource Management, Marketing, Business Policy/Strategy, and more. Tuition costs $370 per credit. The University of Alabama at Birmingham is the largest research institution in Alabama and traces its roots back to a medical center founded in 1859. Today, this four-year, public university has a nationally-recognized academic health center, and enrolls over 11,500 undergraduate students. The student-to-faculty ratio is 18 to 1. The Commission on Colleges of the Southern Association of Colleges and Schools provides regional accreditation. The Collat School of Business is accredited by the AACSB. Program Details: U.S. News & World Report ranks the University of Alabama at Birmingham 72nd for “Best Online Bachelor’s Programs.” The Collat School of Business, in partnership with UAB eLearning, offers online Bachelor of Science degree programs in Accounting, Economics, Finance, Information Systems, Management, and Marketing. A minor in Business Administration is compatible with these degrees and provides study in cutting-edge business concepts. The minor requires 18 credit hours including required Lower Level and Upper Level coursework as well as Electives. Online courses at UAB are flexible to avoid scheduling conflicts for working students, but the content is just as rigorous as on-campus classes. For more information about the programs consult the UAB’s business degree website. Drexel University is a four-year, private nonprofit university located in the City of Brotherly Love, Philadelphia, Pennsylvania. Drexel University has just under 17,000 undergraduates and an impressively low student-to-faculty ratio of 10 to 1. The Middle States Commission on Higher Education provides regional accreditation. LeBow College of Business has earned accreditation from the AACSB. Program Details: U.S. News & World Report ranks Drexel University 62nd for “Best Online Bachelor’s Programs.” The LeBow College of Business has designed an online degree completion program which introduces students to all the functional areas of business. The Bachelor of Science in Business Administration program features courses taught by on-campus faculty in a highly-interactive format. The program is aimed at working professionals and is only available on a part-time basis. One residency is required with a four-day intensive course. Students must acquire 181 credits to receive the degree (classes in Business Administration are four credits each). Tuition costs $474 per credit. The American Public University system began in 1991 when a retired Marine Corps officer founded American Military University. In 2002, AMU expanded and added American Public University. APU is a four-year, private for-profit institution dedicated solely to online learning. Offices are located in Charles Town, West Virginia. The university has a large undergraduate student population of nearly 47,000, with a student-to-faculty ratio of 21 to 1. The Higher Learning Commission of the North Central Association of Colleges and Schools provides regional accreditation. Program Details: Business Administration is one of the most popular programs at American Public University. The Bachelor of Business Administration degree program is designed to be completed in four years, and contains core curriculum in Management, Information Systems, Marketing, Law, Finance, and more. A number of specializations are also available. The degree consists of 121 credit hours, which includes 39 hours of Core Business Requirements and 12 hours of Concentration Requirements. The Final Program Requirement is a 3-hour Senior Seminar in Business Administration. Tuition costs $270 per credit. The University of Florida, located in the city of Gainesville, traces its beginnings to a small seminary in 1853, and began providing education in Gainesville itself in 1906. The university has an undergraduate population of nearly 33,000 students, with a student-to-faculty ratio of 21 to 1. University of Florida-Online is considered its own virtual campus, with 891 undergraduate students and 1 faculty member to every 27 students. The University of Florida is regionally accredited by the Commission on Colleges of the Southern Association of Colleges and Schools. The Warrington College of Business Administration is accredited by the AACSB. Program Details: In 2015, U.S. News & World Report ranked the University of Florida 13th in the “Best Online Bachelor’s Programs” category. In partnership with University of Florida-Online, The Warrington College of Business Administration offers a Bachelor of Science in Business Administration online degree program with a major in General Business. Applicants are guaranteed admission if minimum requirements are met. Courses are taught by the same faculty who teach on campus, and lectures are available via streaming video anytime. The online degree program consists of 120 credits, including Lower Division and Upper Division business credits. Non-resident tuition costs $500 per credit hour. Ninety miles east of Houston, Texas, lies the 270-acre campus of Lamar University in the city of Beaumont. This four-year public university is a member of the Texas State University System and among the fastest growing in Texas. The undergraduate student population sits at over 9,000 students, with a 22:1 student-to-faculty ratio. Lamar University has earned regional accreditation through the Commission on Colleges of the Southern Association of Colleges and Schools. The College of Business also has AACSB accreditation. Program Details: Through the Center for Distance Learning and the Center for Academic Partnerships, the College of Business offers an online degree program for a Bachelor of Business Administration with three tracks: General Business, Management, and Entrepreneurship. Each track requires the completion of 120 credit hours. Coursework can be completed in as few as 48 months and Lamar University offers multiple start dates throughout the year. Students registering for business courses must meet all course prerequisites, and access to Upper Level courses requires that students have earned at least 60 hours. Tuition costs $208 per credit hour. Florida International University is Miami’s first and only public research university. Research is a major component in the university’s mission. Founded on an abandoned airfield in 1965, FIU has a large population of over 41,000 undergraduate students and a student-to-faculty ratio of 26 to 1. Regional accreditation is provided by the Commission on Colleges of the Southern Association of Colleges and Schools. The College of Business is accredited by the AACSB. Program Details: The R. Kirk Landon Undergraduate School of Business offers a Bachelor of Business Administration through FIU Online. Students choose from six tracks: Management, Finance, Human Resource Management, International Business, Logistics and Supply Chain Management, and Marketing. Each program has strong degree objectives. Every online undergraduate student is paired with a success coach. Applications are accepted for spring, fall, and summer terms. Tuition costs $333 per credit hour for non-Florida residents. Fort Hays State University was founded in 1902 as the western branch of Kansas Normal School, and progressed to become a university in 1977. Located in the town of Hays in northwest Kansas, halfway between Denver and Kansas City, FHSU is a four-year public institution with over 11,500 undergraduate students who enjoy a student-to-faculty ratio of 17 to 1. Fort Hays’ Virtual College population is over 6,000 students. The Higher Learning Commission of the North Central Association of Colleges and Schools provides regional accreditation. Program Details: Fort Hays State University’s College of Business and Entrepreneurship offers online bachelor degree programs in partnership with the university’s Virtual College. One of the university’s most popular degree programs is the Bachelor of Business Administration in Management. Classes are asynchronous and taught by the same expert faculty who teach on campus. The program requires 55 hours of General Education courses, 27 hours of College of Business and Entrepreneurship Core courses, 18 hours of Management Core courses, 18 hours of Management Electives, and 6 hours of Electives, for a total of 124 credit hours. The most popular minor for this degree is Marketing. FHSU also offers this degree with a concentration in Human Resources or Information Systems. Tuition varies based on number of credits taken per semester. Bellevue University is a four-year, private, nonprofit academic institution with a main campus in the large suburb of Bellevue, Nebraska, and 14 additional campuses spread across four states. Founded in 1966, Bellevue University posts an undergraduate enrollment of over 6,000 students, and a student-to-faculty ratio of 32 to 1. The Higher Learning Commission of the North Central Association of Colleges and Schools provides regional accreditation. Program Details: Out of hundreds of academic institutions, U.S. News & World Report ranked Bellevue University 63rd in “Best Online Bachelor’s Programs.” Faculty participate in rigorous training for online course delivery techniques. Students have the ability to view lectures live as they are presented, or later at their convenience. The College of Business offers a Bachelor’s in Business Administration with 9-credit-hour emphasis options in Finance, Human Resource Management, or Marketing. Students must complete nine courses designated as Common Professional Component, four courses in Business Administration Requirements, and seven courses in Other Requirements (which may be completed as part of the General Education Core Curriculum). Tuition costs $395 per credit hour. The University of Illinois Springfield was originally founded as Sangamon State University in 1969, but became the third campus of the University of Illinois in 1995 and received its new name. Just over 3,000 undergraduate students attend UIS, which sits on a 746-acre campus near Lake Springfield. The student-to-faculty ratio is 14 to 1. The Higher Learning Commission of the North Central Association of Colleges and Schools provides regional accreditation. The College of Business and Management has earned AACSB accreditation. Program Details: U.S. News & World Report ranked University of Illinois Springfield 20th “Best Online Bachelor’s Program” in the nation. The Bachelor of Business Administration online degree program at UIS offers coursework as rigorous as on campus classes. The degree includes two options: the Business Administration Comprehensive option (addressing the general scope of business functions like Finance, Management, Marketing, and Operations Management), and the Management Concentration option (addressing essential skills for management positions). Regardless of which option is chosen, 120 hours is required for an undergraduate degree. Students must complete Foundation Courses, as wells as 21 hours of College Core Courses, 15 hours of Degree Option Courses, and 10 hours of Engaged Citizen Common Experience hours. Granite State College in Concord, New Hampshire, is a small, four-year, public college affiliated with the University System of New Hampshire. Just under 2,000 undergraduates attend Granite State, and only 25% of the undergraduate student body is comprised of traditional-age students (18-24 years). The average age of an undergraduate here is 34 years old. Granite State boasts a low student-to-faculty ratio of 12 to 1. Founded in 1972, the college is regionally accredited by the Commission on Institutions of Higher Education of the New England Association of Schools and Colleges. Program Details: The Bachelor of Science in Business Management online program at Granite State College requires the completion of 120 credits of General Education and Business Core requirements. Incoming students with prior coursework may be eligible to transfer credits. The Business Management major provides students with the fundamentals: Management, Economics, Marketing, Law and Ethics, and Statistical and Financial Data. The major ends with a capstone course called Integrative: Strategic Management. Minors in Finance, Health Care, Human Resources, and Information Technology are available. Tuition costs $315 per credit for out-of-state residents. Kennesaw State University is the third largest university in Georgia. Located about 20 miles north of Atlanta, Kennesaw State began as a college in 1963. A four-year public university with an undergraduate population of just under 24,000 students, Kennesaw State holds a student-to-faculty ratio of 21 to 1. The university is regionally accredited by the Commission on Colleges of the Southern Association of Colleges and Schools. Coles College of Business is accredited by the AACSB. Program Details: Kennesaw State University offers an online program for a Bachelor of Business Administration with the option to major in Management or Marketing. Management coursework equips students to organize people and processes to meet business goals. Marketing coursework offers solid theory as well as practical application, with all major field requirements available online and just under half of major field electives available online. Online courses are the same as courses offered on campus, with the same schedule and learning objectives. In order to earn a bachelor’s degree, students must complete KSU’s General Education Requirements, as well as business courses and coursework pertaining to the major. Sam Houston State University lies on a 316-acre campus in Huntsville, Texas, and is named after Texas’ greatest hero. SHSU is a four-year public institution classified as a “Doctoral Research University” by the Carnegie Commission on Higher Education. The university hosts just under 17,000 undergraduate students with a student-to-faculty ratio of 21 to 1. Regional accreditation is provided by the Commission on Colleges of the Southern Association of Colleges and Schools. The College of Business Administration is accredited by the AACSB. Program Details: Students at Sam Houston University now have the opportunity to earn a Bachelor of Business Administration in General Business Administration online. This online program has been developed recently; Core and Elective Business Course Requirements needed to complete the degree are all available, however one University Core Requirement in mathematics is not available online. This course can be completed on campus or through a local community college. To obtain the degree, students must earn 120 credit hours, which includes the university’s Core Requirements, Business Foundation courses, and General Business Electives. Tuition varies based on the number of semester credit hours taken. Muncie, Indiana, a mid-western city located one hour northeast of Indianapolis, is home to Ball State University. A four-year public research university founded in 1918, Ball State currently enrolls over 16,000 undergraduate students. The student-to-faculty ratio is 15 to 1. The Higher Learning Commission of the North Central Association of Colleges and Schools provides regional accreditation, while the Miller College of Business is accredited by the AACSB. Program Details: In 2015, U.S. News & World Report ranked Ball State 34th in the nation among online undergraduate degree programs. Ball State University offers a bachelor’s degree completion program in Business Administration. Miller College of Business built its curriculum around strong learning goals to ensure students graduate with effective competencies in business knowledge, communication, ethics, teamwork, and problem solving. Applicants must meet the general admission requirements of Ball State University and have an acceptable GPA once four pre-business courses are completed. Classes begin in the fall, spring, and summer. Tuition costs $483 per credit hour for out-of-state residents taking up to 11 credits hours per semester. Washington State University, a four-year land-grant public institution, lies near the eastern Washington border, in the farm town of Pullman, Washington. WSU is home to just under 24,000 undergraduate students who enjoy a 15 to 1 student-to-faculty ratio. Founded in 1890, the university is regionally accredited by the Northwest Commission on Colleges and Universities. The College of Business is fully accredited by the AACSB. Program Details: Washington State University offers online learning through its Global Campus. In 2015, U.S. News & World Report ranked WSU’s Global Campus 20th in the nation among online undergraduate degree programs out of 296 schools. The Global Campus at WSU offers online bachelor’s degree programs in multiple business fields, including Accounting, Hospitality Business Management, Management, and Management Information Systems. Each field has slightly different eligibility requirements, but all require applicants to complete the University Common Requirements (which are generally satisfied with a direct transfer degree). Since space is limited in some programs, students receive academic rankings to earn placement. Business Administration is available as a minor, requiring a selection of 18 semester hour credits from courses such as Accounting, Entrepreneurship, Management, and more. At least nine of those credits must be Upper Division. Murray State University, a four-year state-supported institution, is located in the small town of Murray, Kentucky. In 2012, Rand McNally and USA Today awarded Murray as the “Friendliest Small Town in America.” The university hosts just under 9,500 undergraduates and boasts a 16 to 1 student-to-faculty ratio. Murray State University is regionally accredited by the Commission on Colleges of the Southern Association of Colleges and Schools. The Arthur J. Bauernfeind College of Business is accredited by the AACSB. Program Details: At Murray State University, Business Administration is one of the most popular undergraduate fields. In order to pursue a Bachelor of Science in Business Administration, students must meet entrance standards for business programs, which includes General Education requirements, and particular Lower Level Business Core requirements with an acceptable GPA. Once admitted to the online program, most students complete approximately 44 hours in Upper Level Business Core courses and Electives in order to receive the degree. The Online Business Advisor provides advising to online students. Seated on a 176-acre campus in rural Canyon, Texas, West Texas A&M University is home to just over 7,000 undergraduate students. This public university, founded in 1909, enjoys a student-to-faculty ratio of 20 to 1. The university is regionally accredited by the Commission on Colleges of the Southern Association of Colleges and Schools. The College of Business is accredited by the AACSB. Program Details: Students at West Texas A&M’s College of Business may obtain a Bachelor of Business Administration with majors in Management, Marketing, General Business, or Law and Economics. All courses needed to complete these four options are available online. Additionally, General Business majors can customize their degree by choosing three of seven different areas of study. Each semester, the online courses match the campus courses in content, learning objectives, and instructors. Known for its western hospitality, the town of Laramie, Wyoming is the proud home of the University of Wyoming. Surrounded by mountain ranges, this public university is home to over 10,000 undergraduate students. UW’s faculty-to-student ratio sits at 15 to 1. The Higher Learning Commission of the North Central Association of Colleges and Schools provides regional accreditation. The College of Business is accredited by the AACSB. Program Details: The College of Business offers a Bachelor of Science in Business Administration delivered fully online. Applicants must meet General Education Requirements and have Advanced Business Standing, which means they must have completed 60 hours of Lower Division coursework (including prerequisite coursework in Mathematics, Accounting, and Economics) and have a GPA of 2.50 or better. Enrollment takes place in the spring, summer, and fall with a limited number of openings. Western Kentucky University lies on a hilltop campus in the small city of Bowling Green, Kentucky. A public institution, WKU has an undergraduate enrollment of over 17,000, with a student-to-faculty ratio of 18 to 1. Regional accreditation is provided by the Commission on Colleges of the Southern Association of Colleges and Schools. Additionally, the Gordon Ford College of Business is accredited by the AACSB. Program Details: In 2015, U.S. News & World Report ranked Western Kentucky University #2 for “Best Online Bachelor’s Programs.” WKU offers an online degree program for a Bachelor of Science in Business Management with a track in Business Administration. The program requires applicants to pre-possess an Associate Degree (a minimum of 60 credit hours with a 2.50 GPA) with particular coursework in Accounting, Economics, and Mathematics. Students will need 120 total credit hours to earn the bachelor’s degree, with 42 hours in Upper Division courses. Classes are fully online and taught by the same professors who instruct on campus. Tuition costs $474 per credit hour. The University of South Dakota is a public institution located in the town of Vermillion, in the far southeast corner of South Dakota, near the Missouri River southern border. The first classes began in 1882, before South Dakota had even become a state, and now the university hosts over 7,500 undergraduate students, with a student-to-faculty ratio of 17 to 1. The Higher Learning Commission of the North Central Association of Colleges and Schools provides regional accreditation. The Beacom School of Business is fully accredited by the AACSB. Program Details: The University of South Dakota offers an online degree program for a Bachelor of Business Administration in Business Administration. Students begin as business majors at the university, completing General Core Requirements during the first half of their undergraduate program. Then, students who wish to pursue Upper Level courses must meet minimum requirements for the Beacom School of Business, which include having 45 credit hours, a GPA of 2.5 or better, and particular pre-major business courses. Students can select an emphasis area such as Accounting, Economics, Finance, Marketing, and more. The degree requires a total of 120 credit hours and the completion of a proficiency exam. Tuition costs $325.25 per credit hour. Pennsylvania State University began offering online education in 1998 through Penn State World Campus, which today has almost 11,000 students. In 2015, U.S. News & World Report ranked the Penn State World Campus #1 for “Best Online Bachelor’s Programs.” Accreditation is provided by the Middle States Commission on Higher Education. Business programs are accredited by the AACSB. Program Details: Online students at Penn State can begin by obtaining an Associate in Science in Business Administration, which then can be used as a stepping stone to complete a Bachelor of Science in Business. Students who have completed at least 28 college credits and meet the entrance to major requirements may apply for admission directly in the bachelor’s degree. Courses are offered in partnership with the business schools from 17 of Penn State’s campus and are available online by the same faculty who teach on campuses, making the program ideal for working professionals. For the Bachelor of Science in Business, students specialize their degrees with 18-credit options such as Accounting, Financial Services, Marketing and Management, or an individualized option. Students must complete at least 120 credits with 59 credits required for the major. Tuition for 2015-2016 costs $535 or $579 per credit, depending on the total number of credits acquired and number of credits taken per semester. Colorado State University–Global Campus is part of the public, nonprofit Colorado State University System, but operates as an independent online campus, and was the first of its kind in the country when it formed in 2007. CSU–Global offices reside in Greenwood Village, Colorado. Just under 7,000 undergraduate students attend the university and the ratio of students to faculty is 38:1. CSU–Global is regionally accredited by the Higher Learning Commission of the North Central Association of Colleges and Schools. The AACSB provides accreditation for business programs at the school. Program Details: Colorado State University’s Global Campus offers a number of online 120-credit business degrees, including (but not limited to) Accounting, Business Management, Organizational Leadership, and Project Management. Students have the option to add a degree specialization in Business Administration, which would include five Upper Division Business Administration courses. This program offers high flexibility, with monthly term starts and every class offered every term. Tuition costs $350 per credit. In the city of Cape Girardeau, Missouri, less than two hours south of St. Louis, lies Southeast Missouri State University, founded in 1873. Originally founded as a teacher’s college, Southeast is now a comprehensive public university with five colleges. Undergraduate enrollment peaks at nearly 11,000 students, and the student-to-faculty ratio is 22 to 1. The Higher Learning Commission of the North Central Association of Colleges and Schools provides regional accreditation. The Donald L. Harrison College of Business holds AACSB accreditation. Program Details: Students seeking entry into the Bachelor of Science in Business Administration online program should already have completed 60 semester hours in Lower Level core and support courses with an overall GPA of 2.25. Business students must be admitted to the College of Business before enrolling in Upper Division Business courses. All students must complete a minimum of 120 credit hours to earn their degree, with 24 credit hours in Business Administration major courses. The program is ideal for part-time students and is customizable based on personal career interests. Founded in 1885, Arizona State University, located in Tempe, Arizona, is now the largest public university in the United States. The W.P. Carey School of Business is one of the largest business schools, with more than 10,000 undergraduate students. Named for Wm. Polk Carey, who made a generous $50 million donation in 2003, the business school has multiple programs ranked in the Top 30 nationwide by U.S. News & World Report. Arizona State University is regionally accredited by the Higher Learning Commission of the North Central Association of Schools and Colleges. The W.P. Carey School of Business has maintained AACSB accreditation for over 50 years. Program Details: Students pursuing an online Bachelor of Arts in Business from Arizona State University can choose from six concentrations: Communication, Food Industry Management, Global Leadership, Global Logistics Management, Retail Management, or Sustainability. Courses are taught by the same faculty and instructors as on-campus classes. Six start dates are available per year, making courses more accessible and convenient. Students can expect to spend about six hours per week on coursework for every one course credit. Tuition costs $523 per credit. With eight campuses spread across the state, Indiana University is a public research institution with a total student enrollment of over 114,000. The campus of Indiana University East sits in rural Richmond, Indiana, and has a student-to-faculty ratio of 15 to 1. Undergraduate enrollment reaches just under 4,500 students. IU East is regionally accredited by the Higher Learning Commission of the North Central Association of Colleges and Schools. Business programs are accredited by the AACSB. Program Details: Indiana University East offers an online degree completion program for a Bachelor of Science in Business Administration. The curriculum includes 60 credit hours to be taken over the course of two years, with an optional concentration in Finance available. Students work with an advisor to develop an individual plan of study, but generally take four courses each semester and two courses each summer. Students may begin in the spring or fall. It is recommended that applicants have a significant portion (39 credits) of General Education courses completed prior to enrolling in the degree completion program. Tuition for nonresident undergraduates costs $297.45.